So you’ve got a social cause you’d like to take action on. You've followed our tips on the Crowdfunding Academy, you've gathered your crowd of supporters, and now you're ready to take action! How can you make your campaign even more successful? To help your crowdfunding campaign reach its full potential, building a team is the single most effective thing you can do. We analysed over 5,000 campaigns on Chuffed.org and found that the standout factor that determined whether you were likely to be successful or not was whether you had more than one team member. So today, we're introducing the new, upgraded Chuffed Team Tools. 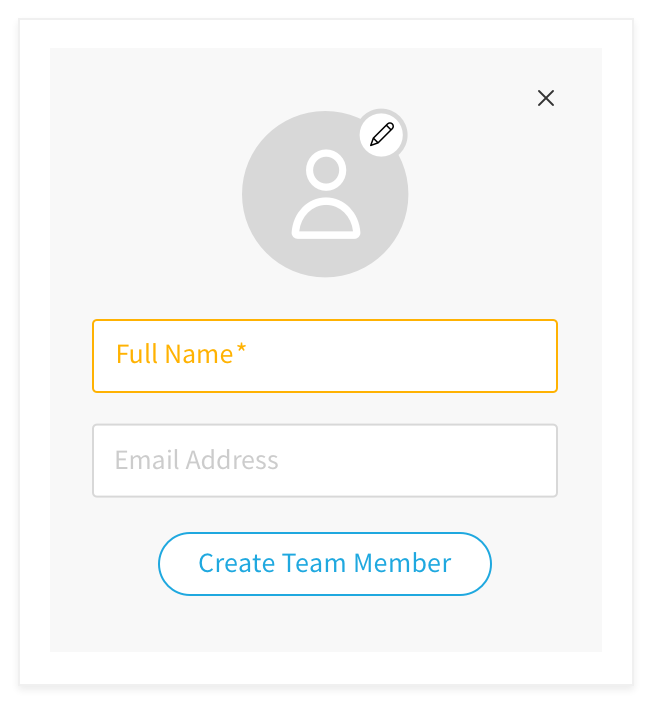 Now instead of all sharing an account, or having them hidden behind the campaign, you can make them visible on your campaign page and give them specific roles to help you edit your campaign. 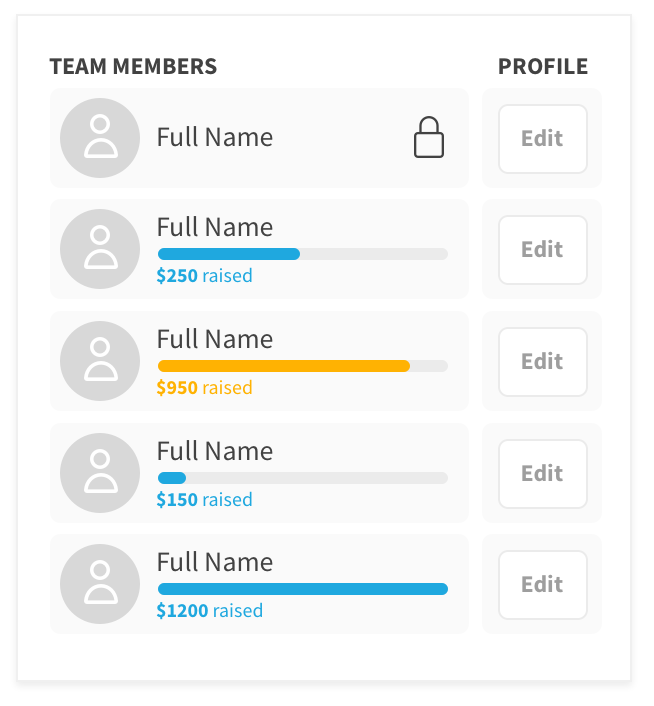 This way, you can enable people who support your campaign to also raise their own funds! They can then share a unique, personal page with their networks and make better use of their social connections. This will give them a higher sense of accountability for helping your campaign reach its target. If a team member has little time to spare, you can simply set up their page for them and give them a link to share on social media. Having a team is a great way to show the faces behind your story and personalise your message, and donors will be more likely to trust your project when they see you've got support behind you to help you roll it out! Want to know more about specific team roles. 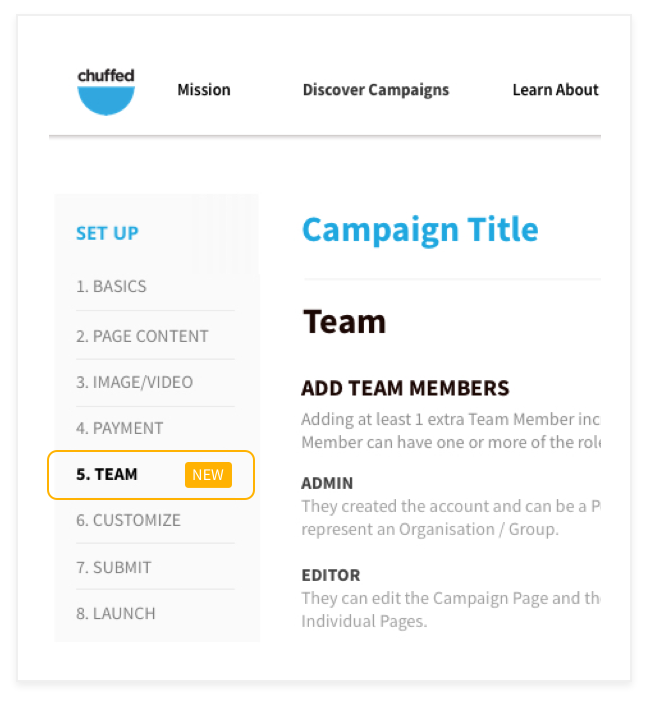 Read the Three ways you can now build your online team on Chuffed.org. Where to from here? Take these steps to build your team today!